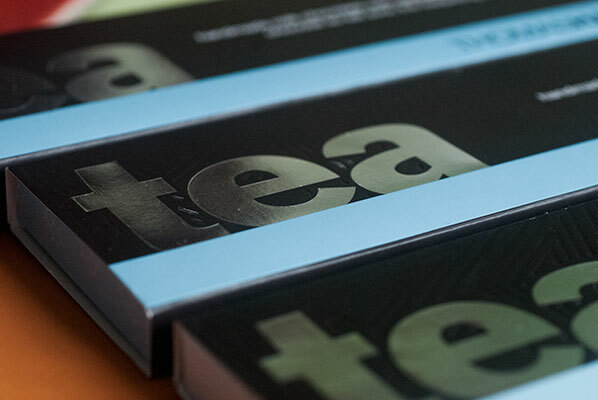 Clearly, I have not had enough of the tea and chocolate experience because this week I picked up a half dozen tea infused chocolate bars and am making batches of tea infused truffles using some of the flavours which seemed to go so well together. The teenage tasters agreed to review them with me, once their taste buds and bladders had recovered after the tea and chocolate pairing. So, can you tell which one was our favorite? Oh my, the Chai bar was so good there is only one tiny piece left by the time we are finished – and that one is being eyed hungrily. Milk chocolate, cinnamon, ginger and cardamom are really a match made in heaven. Big positive votes for that one. 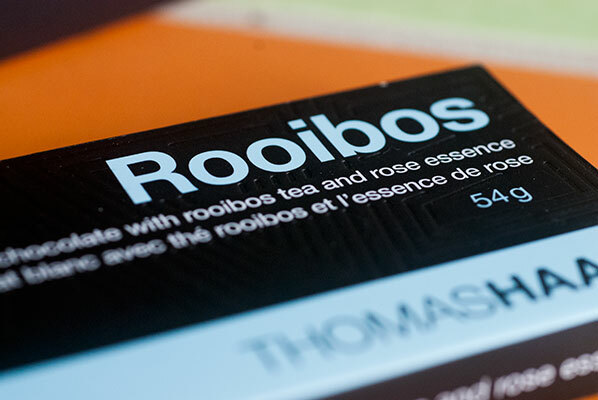 We also sampled a very pretty bar, brought home from Belgium by Younger Son’s tea loving friend. I thought it was generous of him to share it, as part of the panel. 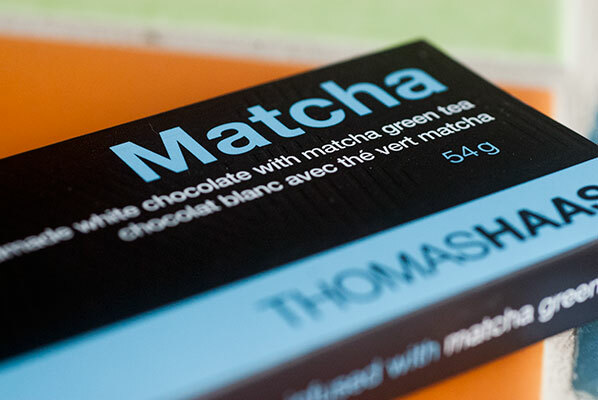 Clear notes of lavender in this one, and since that is one of my favorite chocolate pairings, this one also gets a big thumbs up from the panel. We held back on devouring it all, and most of it went home with our friend, proving we are not “Square Greedies”. This last one, I felt, would be good to have along on a cold day, when out skiing because it tastes like a warm seasonal drink, and I like the way it melts on my tongue. They had less snap and gloss than I was expecting, but were certainly smooth and creamy. All of these interesting bars made me want to get back into my kitchen and have a go at making some tea infused ganache truffles. The solvent used in making these ganaches is heavy cream. The fat in cream is a very good medium for capturing flavours, as well as providing the velvet texture and creaminess. – a steeped or heated infusion, where the cream is heated, almost to boiling, then the flavouring agent steeped in the hot cream for a number of minutes (as you would do with tea). I make a masala chai mixture to start. 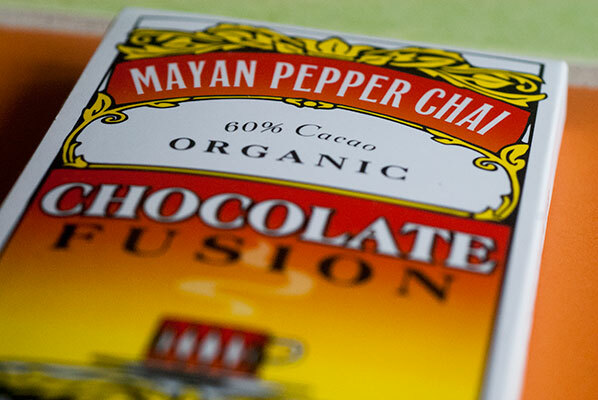 Chai actually really just means “tea”. 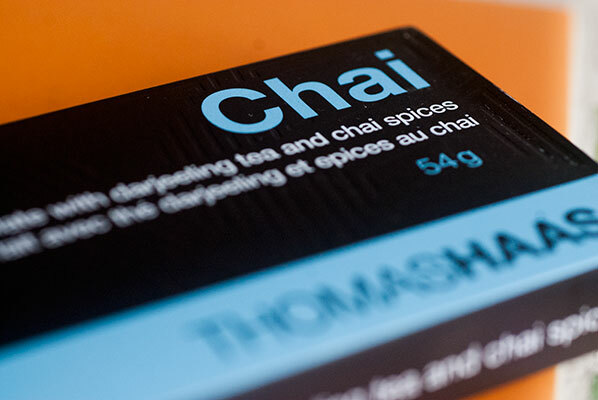 Masala Chai is what we in North America have come to know as “Chai”. With this mixture in hand (or mortar), I turn to the Ecole Chocolat recipe section, and make this wonderful recipe, called Chai Tigers. I made a slight alteration to the recipe, as I did not have any glucose syrup (a crystallization inhibitor) and didn’t want to add either honey or corn syrup, which would also have worked, so I just left it out – perhaps my truffles are not quite as smooth as they could be, but I think they are quite yummy. Thanks, Peter Greweling for your fabulous recipe. Many thanks to Jee and Queenie at Oh How Civilized, a website celebrating afternoon tea, for these smooth and creamy truffles – a tasty contrast of sweet white chocolate and bitter matcha powder. As well as being beautiful to behold, they are delicious with a cup of tea. 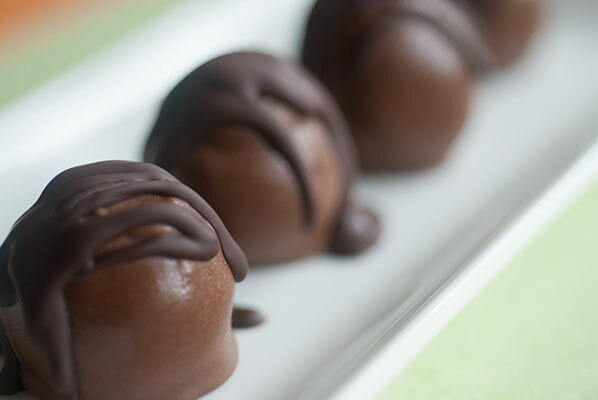 These truffles were such fun to make, made very easy to unmold using flexible silicon molds. 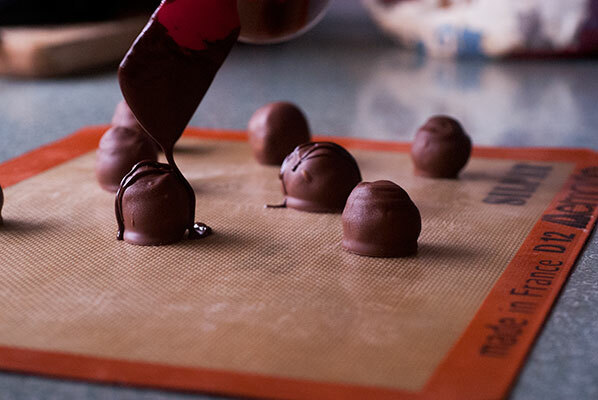 My absolute favorite – my go-to any time someone asks for a batch of truffles. Be sure to use a good quality Earl Grey. In a small bowl or measuring cup, sprinkle tea over heavy cream and mix well. Cover with plastic wrap and refrigerate overnight. Place cocoa powder (or other desired coating) in a small bowl. 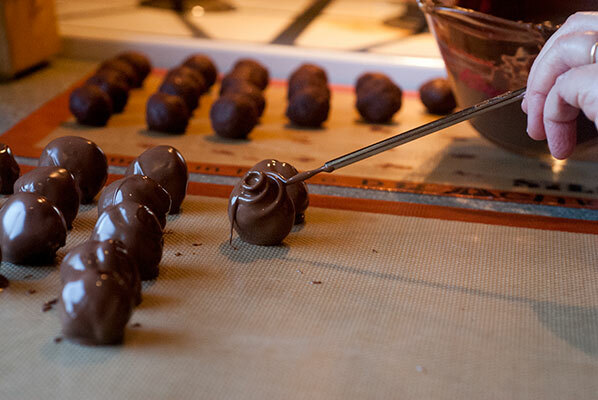 Using a teaspoon scoop 1-inch balls of ganache and roll between palms until smooth. Roll in cocoa powder to coat.